Is the thought of driving at night a cause of anxiety and dread? If you answered yes, you’re not alone. Many people experience difficulties seeing at night, making driving a stressful event. As we age, our eyesight goes through changes that make tasks that may have seemed effortless at one point seem difficult, such as driving at night. 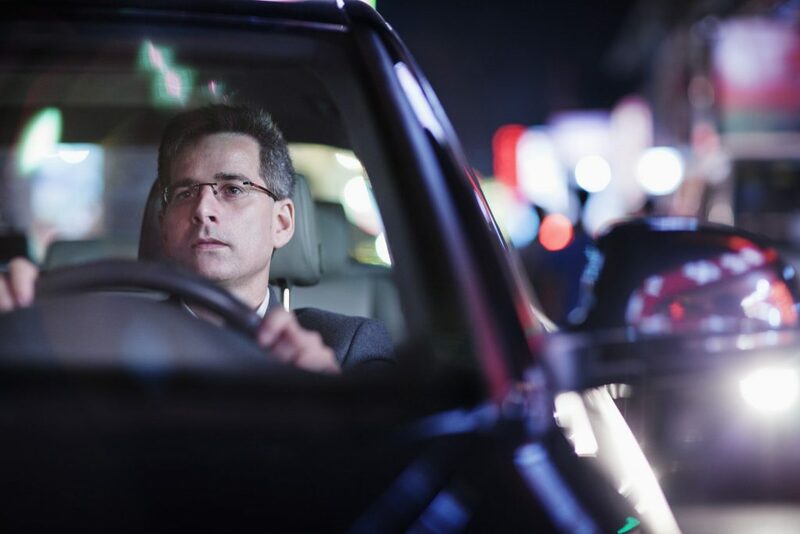 If you’ve been having a hard time seeing and driving at night, keep reading to learn more about night blindness and anti reflective glasses. As people get older, their vision changes. One of the most notable changes is that the eye’s pupil gets progressively smaller. This means it may not dilate as quickly, meaning light may not reach your retina as fast – making it more difficult to see in low-light. This is known as night-blindness and is common in adults over 50 years of age. If you’re having trouble seeing and driving at night, you may want to consider looking into a pair of anti reflective glasses. The good news is, if you’re getting new glasses anyways, anti reflective lenses can likely be put into the frames you’re considering. Prescription anti glare sunglasses are also available! Make sure to stop by iSight to browse our large selection of anti glare glasses! We’d be happy to help you find a pair that suits your needs. What do Anti Reflective Glasses do? Compared to regular plastic lenses, anti reflective glasses allow more light to reach your eyes. Plastic lenses usually reflect about 8 percent of the light that hits the lenses, while high index plastic lenses can reflect up to 12 percent of available light. This leaves only 92-88 percent of available to the eye for vision. While it may not sound like a lot, this reduction in available light can make it much harder to see in low-light conditions, such as driving at night. 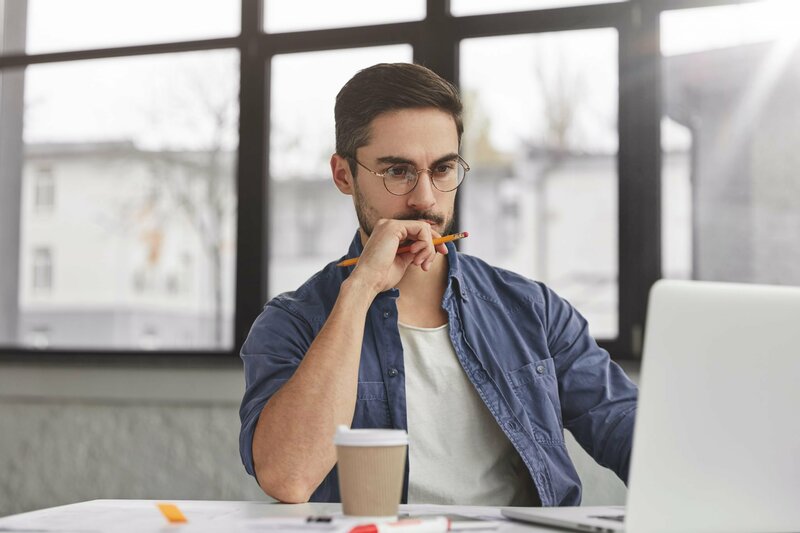 An anti reflective coating can make about 99.5 percent of light available to pass through your glasses, making seeing in low light conditions much easier. While driving, this translates to sharper, clearer vision. If you’re seeing “halos” on headlights and streetlamps at night, anti reflective glasses will also reduce this. Are Anti Reflective Glasses Right for Me? People choose anti reflective glasses for a myriad of reasons. Of course, if you’re having troubles driving at night, anti reflective glasses can help you see more clearly. Anti reflective glasses also offer cosmetic benefits. Because they reduce the reflections on your glasses, people will be able to see your eyes more clearly. 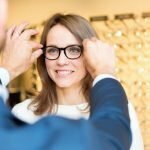 People also find anti reflective lenses reduce eye fatigue at work if they spend a lot of time staring at a computer screen. If you’re interested in finding the right pair of frames with anti reflective lenses, we encourage you to browse our huge selection at iSight. Our friendly and knowledgeable team would be happy to find the right frames for your face, and the right lenses for your particular needs. Find out more about anti-reflective glasses by visiting us at iSight!